Colin Dowe, the first Chairman of the Spicemas Corporation (SMC), and Byron Campbell the immediate past chairman of the Grenada Cultural Foundation (GCF) are to investigate why Panorama 2017 did not happen on the night of 12 August 2017. 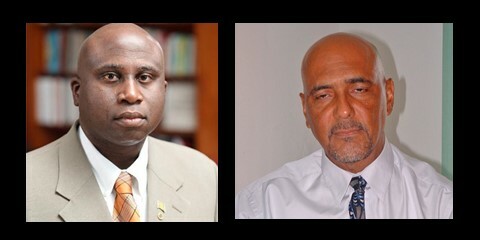 Prime Minister Dr Mitchell announced the 2-member investigating team during a national address on Wednesday night. Panorama 2017 was cancelled on the night of the event while patrons were gathering in the Junior Murray/Rawle Lewis stand of the National Cricket Stadium. The stage to host the bands was incomplete, and almost 2 ½ hours after the scheduled start time, the master of ceremony announced that a decision had been made to postpone the event to 19 August. The Grenada Steelband Association (GSA) later announced that its members would not be participating, because panorama should be held within the carnival period. Carnival officially concluded on 15 August. Commenting on the ‘non-event’ Prime Minister Dr Keith Mitchell described it as a national embarrassment and that government had to take responsibility for what happened and an investigation would be conducted. Before making the announcement of the names, Dr Mitchell commended the Spicemas Corporation for their stewardship of the season, despite the ongoing challenges that the events are faced with each year. “We are encouraged that in recent years, Spicemas is doing better at managing its affairs and meeting its commitments in a much timelier manner, to performers and other stakeholders alike. In fact, this year, the corporation was able to pay prize monies sometimes immediately after events—and this has traditionally not been the case,” he said. Expressing his displeasure at the failure of Panorama for 2017 he said that he joins in the shared disappointment of all pan-lovers, but most importantly, the dedicated men and women, especially the numerous young people who spent months preparing to showcase the sweet sounds of carnival. “Your efforts are truly a labour of love, as you persevere year after year to ensure that as Grenadians, we do not lose this part of our rich cultural heritage. To therefore not have had the opportunity to showcase your craft this year, is something for which we all must feel an abiding sense of disappointment and injustice,” he said. Dowe and Campbell are expected to present their findings within 1 month, so that the appropriate mechanisms can be put in place to prevent any similar occurrences in the future.